Every once in a while we get inquiries about the water quality in specific areas or regions of the country. While we wish we could answer every one of those questions in great detail, we just cannot do so — but links off of the EPA’s Safe Water Web Site probably can. We took a quick look at the EPA’s Safe Water Web Site and found that it contained a feature called Safe Drinking Water Search for the State of Minnesota. On that page you can search for Safe Drinking Water data in the SDWIS database in Envirofacts. You can choose from four possible search options: water system name, county name, population served, and/or system status. Home test kit for metals and fluoride? A company called Test Country offers a relatively simple test kit for metals and fluoride. 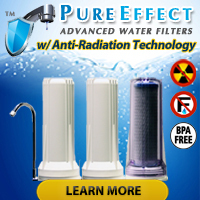 Granted you will have to send in the sample to a laboratory for analysis, but not too many other ways exist for homeowners to test for potential drinking water contaminants such as antimony, barium, beryllium, uranium, selenium, fluoride, arsenic, thallium, nickel, copper, iron, manganese, aluminum, zinc, chromium, mercury and lead. Oh, and the kit also tests the acidity level (pH) of the water sample as well as for any fluoride that may or may not be present in the sample. Who will perform the water testing? Glad you asked! These days one has to use caution when selecting a testing service because some ‘water professionals’ lack the official training and credentials to call themselves professionals. NOT the case with Test Country since they use the services of a CLIA Accredited Laboratory (CLIA ID: 14D0646470, Medical Care Provider No: 148453) that claims to performed millions of comprehensive drinking water tests since 1972. What if I don’t know how to read the report? Don’t worry. The Test Country Lab Report won’t blind you with confusing charts, figures and things best left for scientists. 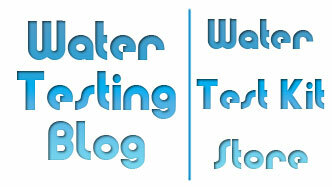 Take a look at this sample water test report and see for yourself! Looking to just test for fluoride? A company called National Testing Laboratories offers a mail-in water testing service for fluoride by itself for around $50 (plus cost of mailing the sample to their facility). You can find more information on this fluoride testing option in our Water Test Kit Store. Similar to Test Country, National Testing Laboratories also boasts an impressive resume when it comes to laboratory accreditation and test results typicall become available by email within 10 to 14 days of the lab receiving a water sample for analysis.